WITH OUR EVENT COMING UP ON THE 30TH, WE DECIDED TO INTRODUCE YOU TO SOME OF OUR SIRCUIT SKIN PRODUCTS! Sunny days are here at last and sunblock is an essential! Sol-Avert is the ultimate UV defense sunscreen because not only is it made from natural, broad spectrum ingredients but it’s also incredibly light weight. You already sweat enough under the sun’s rays, why add an extra layer to your face? 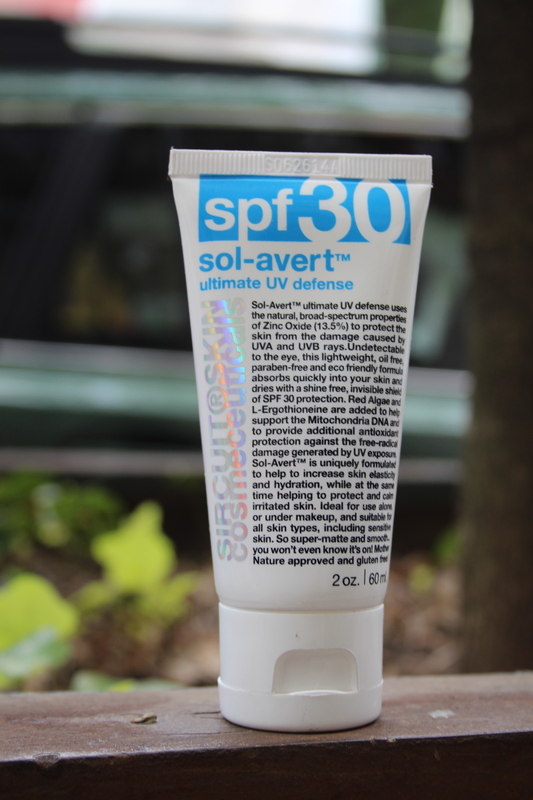 Luckily Sol-Avert is completely oil-free and leaves your face with a shine-free shield of SPF 30 protection. If only erasing skin imperfections was as easy as whiting out mistakes on a piece of paper. Well now it is, with White Out: daily under eye care! This under eye creme is formulated to target puffy-ness, eye bags, and dark circles. It’s Chirally Correct blend helps improve cellular respiration, fight inflammation, detoxify, protect, and stimulate collagen! Wow science! All that washing and rubbing and everyday wear and tear, can leave our skin sensitive. Supermild to the rescue! Maybe it’s not the most epic super hero name, but Supermild’s gentle, smooth, and luscious nature makes it a super cleanser. It is formulated specifically to calm and protect but it also fights against premature aging with its anti-inflammatory and antioxidant rich formula. (ps. it’s gluten free).